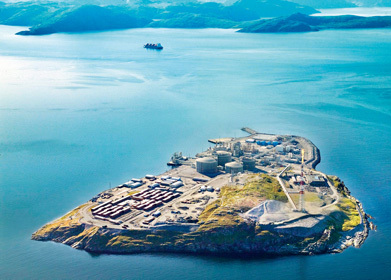 In a year in which many oil and gas companies have been pushed against the wall due to high-profile, media-focused oil spills, Statoil has quietly expanded operations and developed projects into more far-reaching outlets. 2009 saw the company record profits in the region of $3.05bn, much of which has been invested in the further expansion of group operations. In the same year, Statoil produced the world’s first deep-water floating large-capacity wind turbine, known as the Hywind. Other operations include gas refining, subsea development, advanced drilling platforms, and sustainable energies off the coast of the UK.